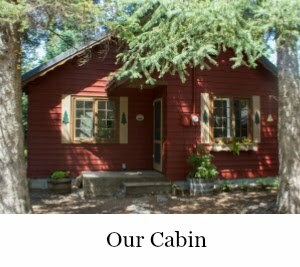 When we purchased our Idaho mountain property there were about seventy large conifers growing on the quarter acre surrounding our small cabin. 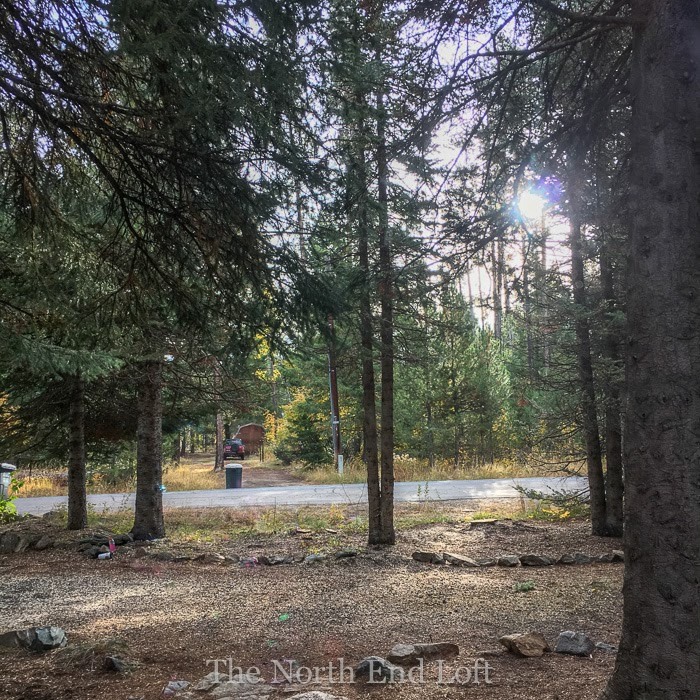 These beautiful tall evergreens were one of the reasons we decided to buy our cabin. 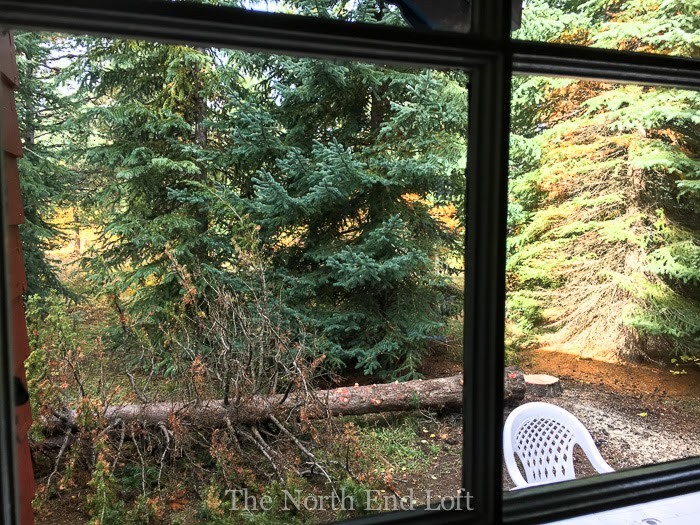 During our inspection before purchasing, we could see a few stumps left from dead trees that had been removed by previous owners, but it appeared the others had been left to grow naturally. They were in various conditions; some looked healthy and strong, some had dead branches, and some appeared to have diseases and/or pests. Since we had never cared for large conifers before, we decided to consult a professional to guide us. 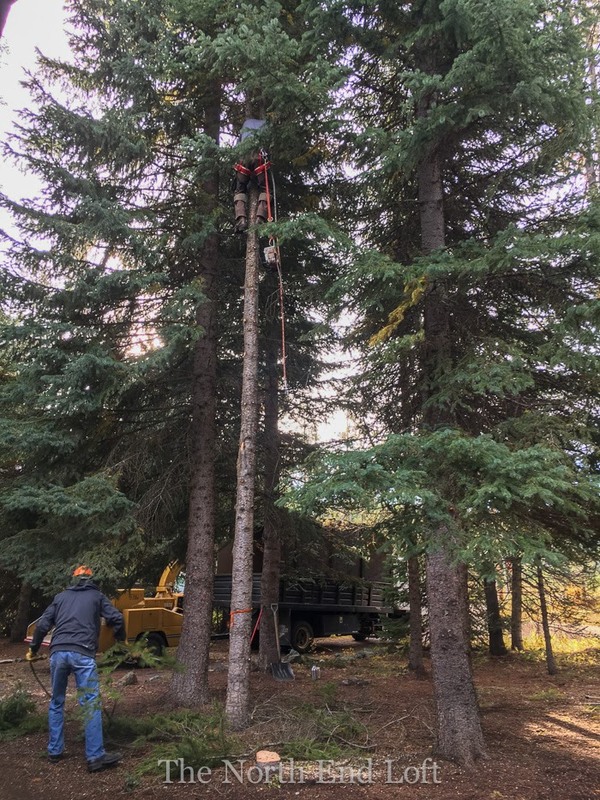 We had noticed some tree care equipment kept at a neighboring property and after googling the company, we gave Randy Acker at Acker Tree Service a call. We walked around the property together, and he tied orange ribbons around the trunks of the trees he thought should be cut down and also on the branches of the ones he thought should be pruned. He also recommended we call the McCall city arborist, Kurt Wolf, for a tree care consultation. 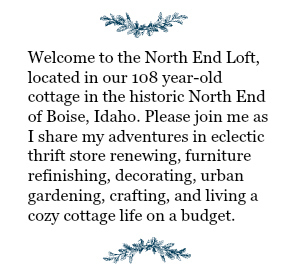 In Boise, the city won't give any advice about trees on private property, so we were pleasantly surprised to get a free consultation from the city of McCall. Kurt is such a nice person, and he spent about an hour walking around our property with me as I took notes. He identified the trees and explained their particular pests and diseases. 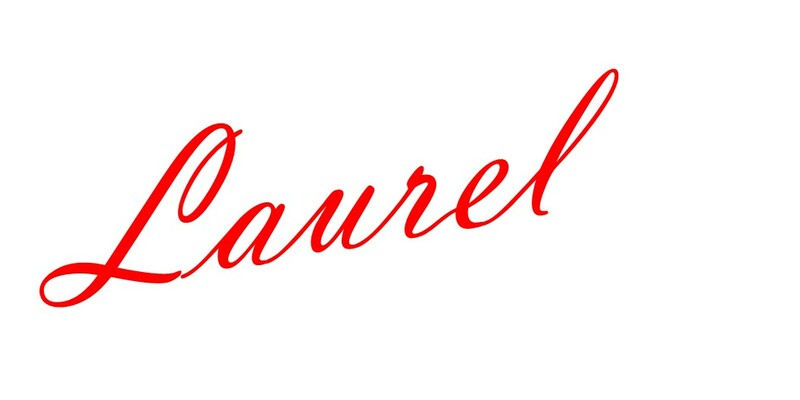 He also explained the benefits of proper pruning and agreed with Randy Acker about which trees should be cut down because they either couldn't be saved from heavy pest infestations or because they posed a safety hazard. After our consultation we called Acker Tree Service back and got on Randy's October calendar. 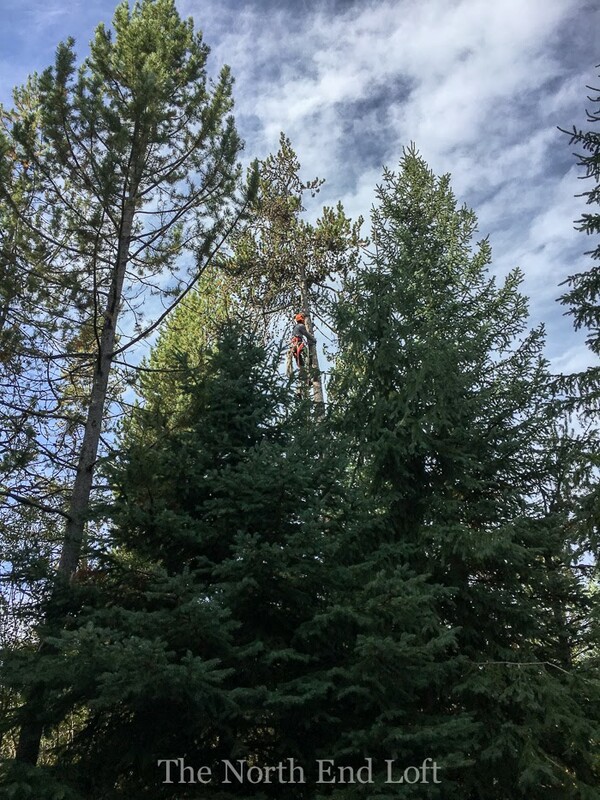 The area tree services have more tree work than they can do in McCall, so I felt lucky to have found Randy and his business right around the corner. He's also a great guy and a wonderful neighbor! 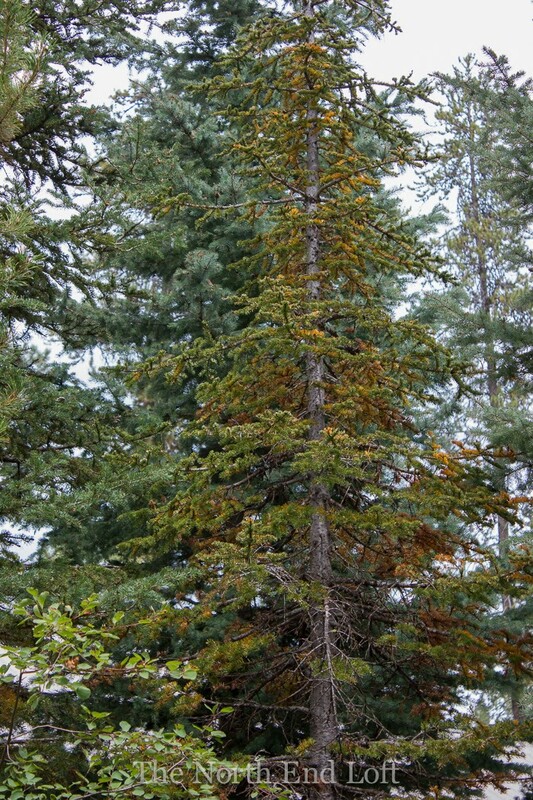 This is a google photo of (Rocky Mountain) subalpine fir trees killed by a pest called the Balsam Woolly Adelgid. This pest from Europe worked its way down to our property from Northern Idaho, where it was first identified in 1983. Kurt Wolf taught us how to identify our subalpine fir trees by the smooth bark. The tree on the right with the big crack is a subalpine fir. 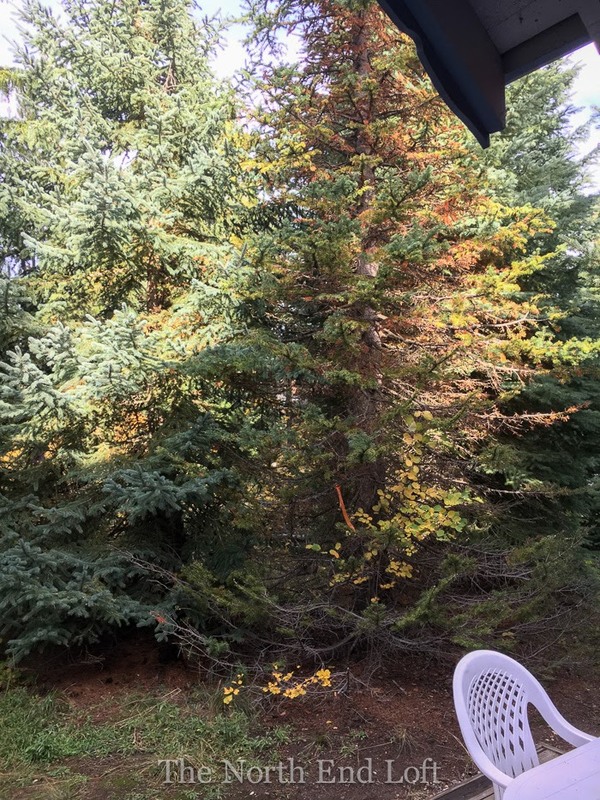 This was one of our Balsam Woolly Adelgid-infested subalpine fir trees. The arborist told us it would be dead and bare of needles within a year and recommended its removal. 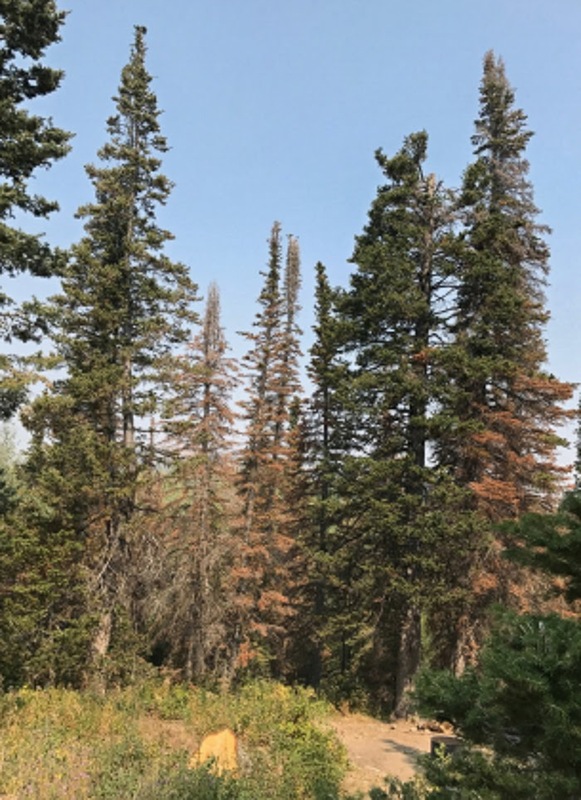 Unfortunately, all of our subalpine fir trees are infested and will eventually die. There is nothing that can stop it. We are treating the still relatively healthy ones with Bayer systemic tree care to try and lengthen their lives by keeping them stronger. Some of the trees are huge and still beautiful, so we'd like to keep them as long as possible. 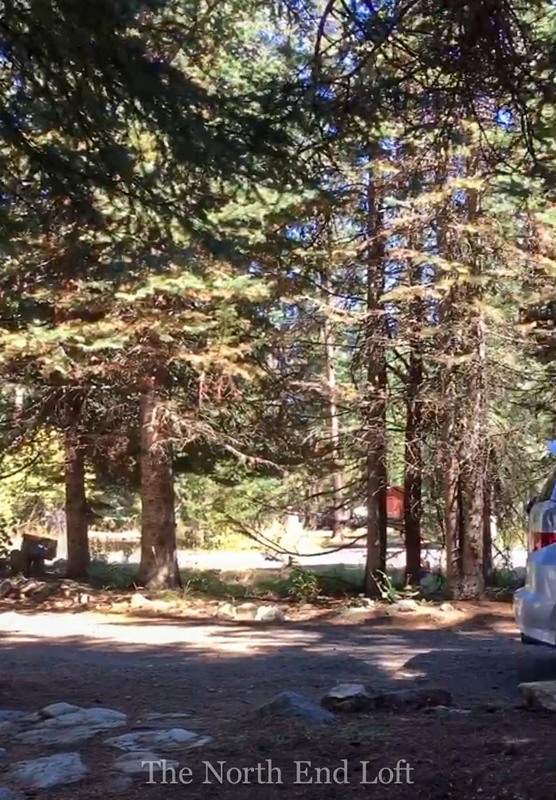 These trees are next to our driveway between our cabin and the street. 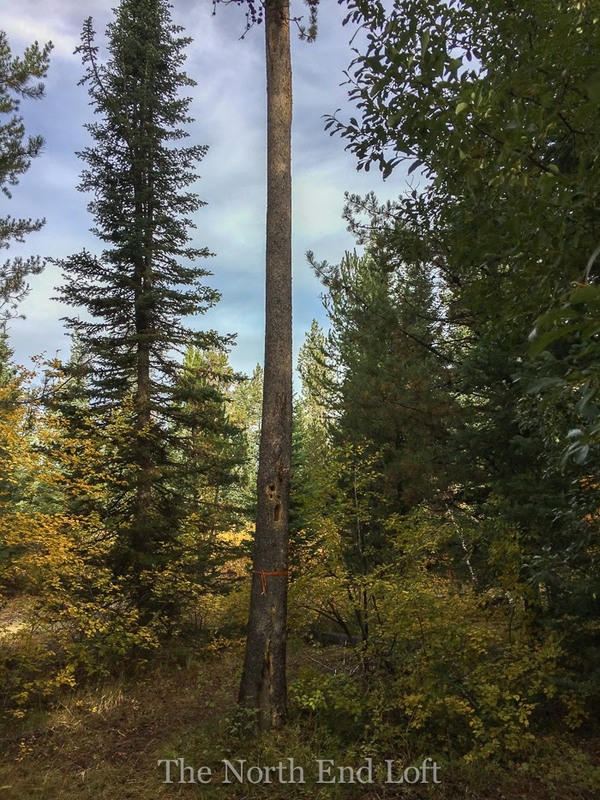 They are dying from a combination of being topped by the Idaho Electric Company and the Balsam Whoolly Adelgid infestation. 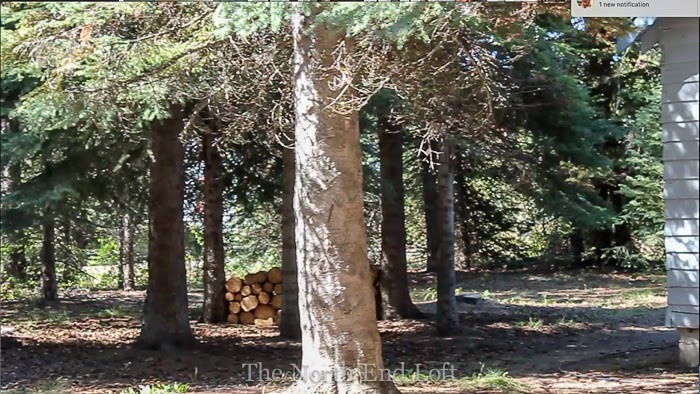 A google map image shows these trees were strong, healthy and full to the ground in 2007. Randy recommended we take these trees along the street out in phases so we can replant half before the other half is gone. 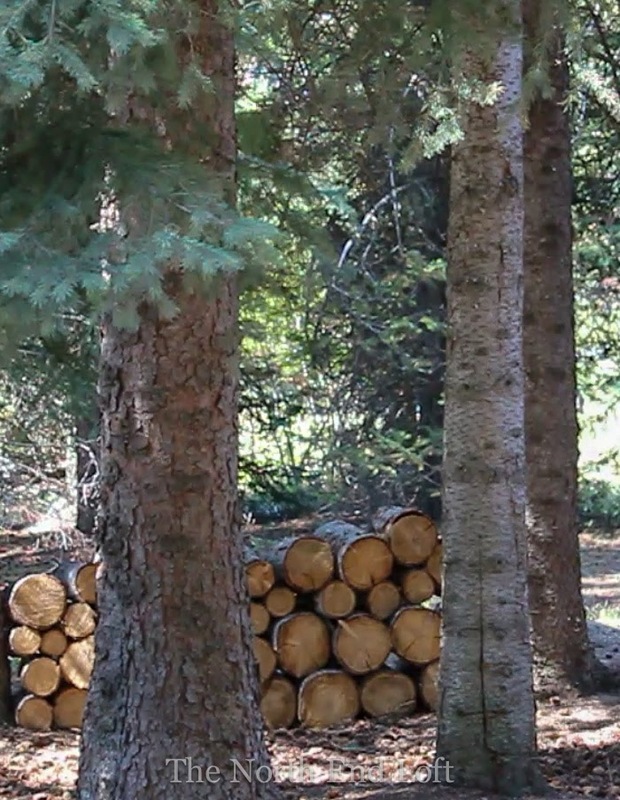 The next three trees to be cut down were large subalpine firs that were crowding large healthier, more desirable trees. The McCall city arborist explained to us the importance of allowing plenty of room for growth and air circulation around our big trees. Crowded trees are more susceptible to decline from pests and disease. 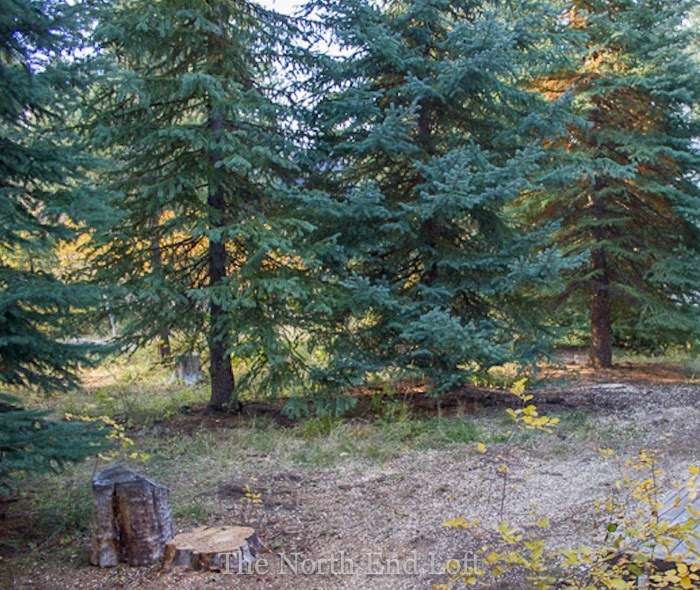 This subalpine fir tree was crowded in next to three other trees behind our cabin. Acker Tree Service also removed the bottom limbs on all our trees to leave about one foot between the ground and the bottom branches. 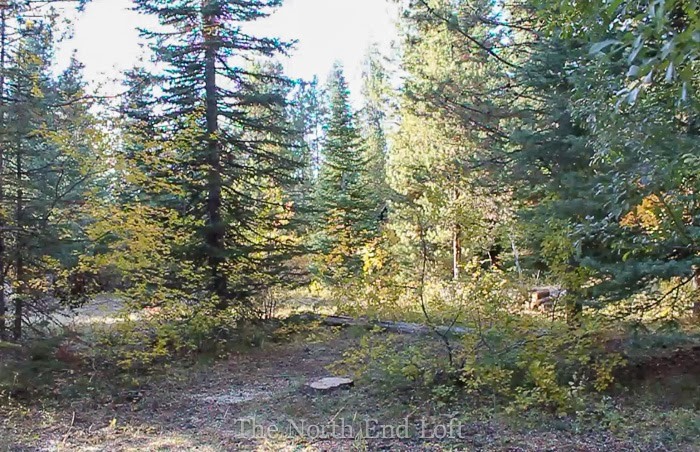 They removed the big piles of woody debris that were lying all around our property, too. They were able to chip all of it, saving us hours of loading it into the pick up and taking it to be composted at the dump. We had nine big trees cut down and many others severely pruned of dead branches. The last tree to be cut down was one of our tallest trees, and we were so sad to see it go! As you can see, it had major structural damage from a previous ant infestation, making it a danger to both us and our neighbors. The stump is now all that's left of that majestic towering tree! 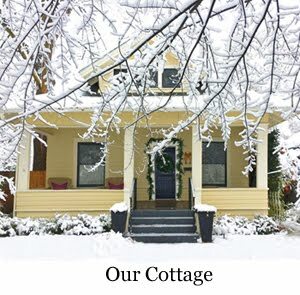 Since we've learned about the care of our trees, we walk all around our property regularly to check the health and condition of every one, so this will hopefully never happen again. 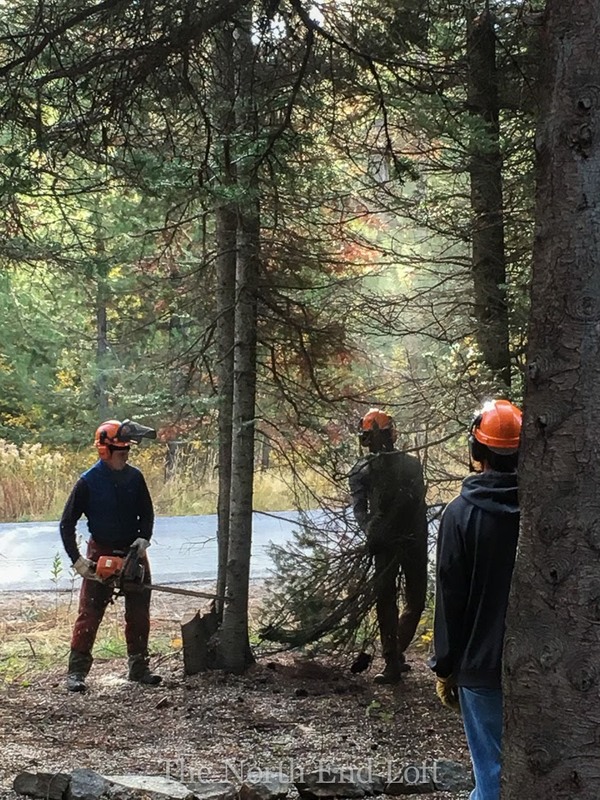 Making the forest around our cabin healthy again by cutting out damaged trees and branches and reducing overcrowding was a huge job, but one we didn't hesitate to have done. When we bought our property we felt like we took on a sacred responsibility for the health and future of these gentle giants. In return they give us the immeasurable pleasure of their beauty and the music of the wind blowing through their pine needles. 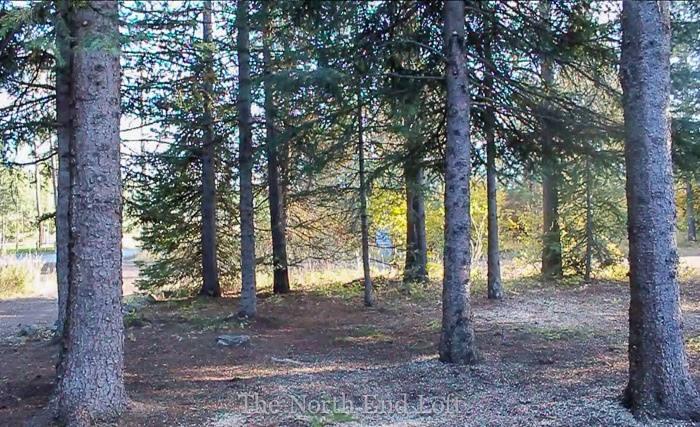 We plan to leave most of our property natural as you see it here, but next time I'll share our plans for replanting where some trees were removed and for adding some plants and flowers right around our little cabin. Such beautiful trees, sad but necessary.Thanks for sharing.